InicioTOEFLTOEFL writing template for the ibt TOEFL Test 6. TOEFL writing template for the ibt TOEFL Test 6. Curso TOEFL Lección 26 – TOEFL writing template for the ibt TOEFL Test. 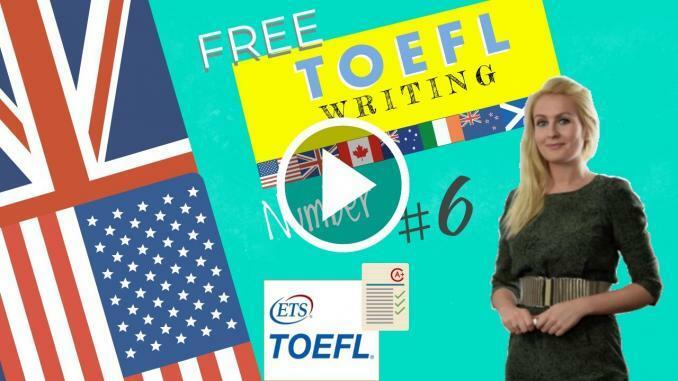 A standard TOEFL Writing template to use in the TOEFL exam can be created based on the tips given in today’s lesson. You need to be able to form your own opinion in response to information processed in a prior reading and listening in the integrated writing task, but also organise and present your own ideas in the essay or independent writing task. How to structure TOEFL essay and TOEFL model answer for death penalty topic. Question type: advantages and disadvantages. Here is the question card use a toefl writing template to correctly formulate your answer. Some people advocate death penalty for those who committed violent crimes. Others say that capital punishment is unacceptable in contemporary society. Describe advantages and disadvantages of death penalty and give your opinion. Some of the possible arguments to put into your toefl writing template. How to structure my answer? Introduction: rephrase the topic and state your opinion. Conclusion: sum up the ideas from body paragraphs and briefly give your opinion. It is the opinion of some people that the death penalty is necessary in order to deter crime and others maintain it is necessary to satisfy the human need for retribution. The majority however think killing is barbaric in any form an opinion to which I subscribe. The Death penalty can be considered an excessive and unjust punishment for several reasons. We know that many people are sick rather than nasty and should be treated. Moreover, even with the now popular use of DNA evidence many innocent people can face wrongful execution. Often the crime is committed when a person has undergone extreme stress. Imagine planning a killing with the collaboration of the establishment behind it. That’s premeditated murder. I believe that potential sociopaths and killers can be identified before they commit a crime. Prevention is better than cure. It does not work for terrorists because they are quite happy to be martyrs. The second argument is that governments spend large sums of the national budget on prisons. I think prisons should be used as factories with fair working conditions and a chance of rehabilitation. To sum up, although capital punishment has some advocates, I think that it only proves that we are still away from being civilised and it is not the best way of controlling criminals, and preventing other people from doing crimes. It is just an expedient way of dealing with a problem. Some ielts speaking topics with examples and exercises.